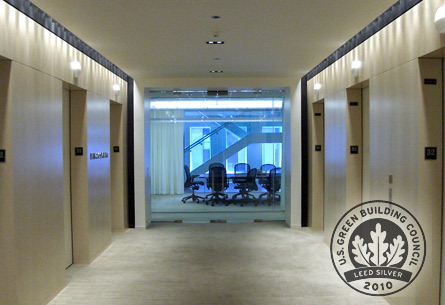 TKB has completed five projects for the Chicago offices of this rapidly expanding global management consulting firm. 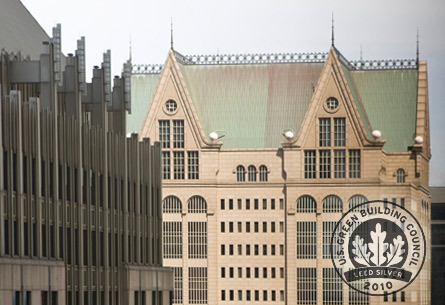 A recent engagement involved the relocation of the core Chicago practice from one contiguous space, into a new vertical community occupying three floors of the 190 South Lasalle building in the Chicago Loop. 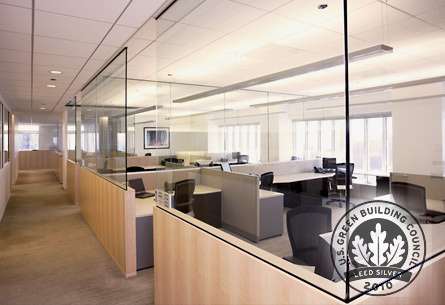 With small windows governing the available daylight, work spaces are partitioned with a variety of glass types and layout configurations to provide natural light penetration to more than 90% of the staff. 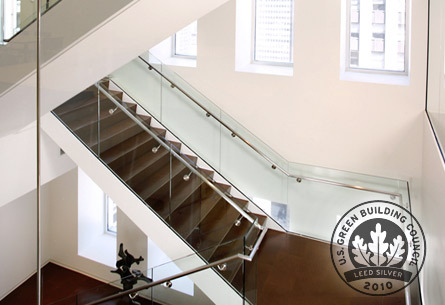 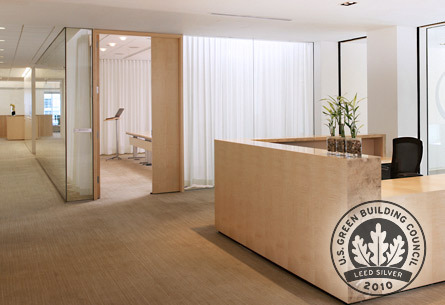 The final result represents a luminous space that is a LEED Silver Certified office renovation.